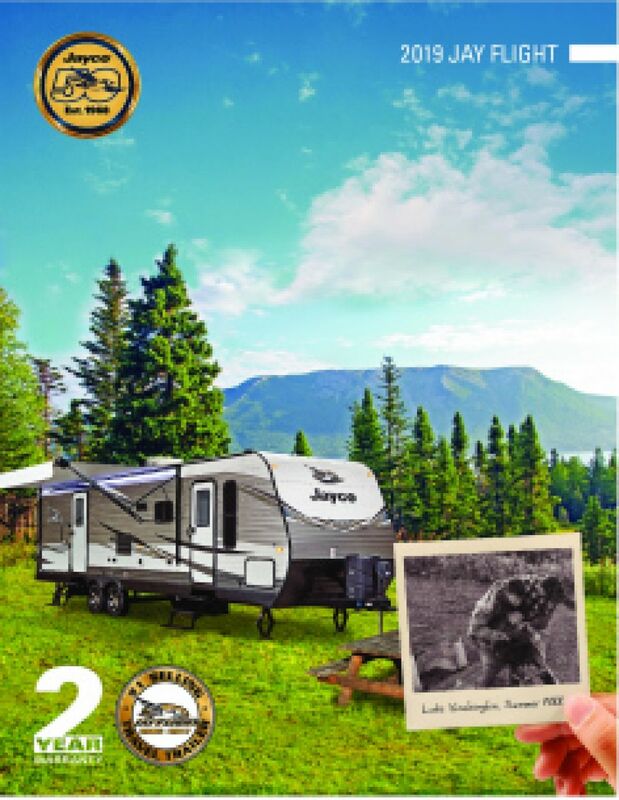 The 2020 Jayco Jay Flight SLX 294QBS is a superb RV, and if you're dreaming about this great Travel Trailer then head on into TerryTown RV today! We're the top dealer in Grand Rapids, Michigan and we've been selling all the top brands for over four decades! We're conveniently located at 7145 Division Ave S Grand Rapids Michigan 49548, so come in and let our friendly, knowledgeable staff show you how you can own the Jay Flight SLX 294QBS at a price that will amaze you! Call us at 616-455-5590 and we'll make your dream a reality! A 18' 0" awning provides shade along the side of this 35' 5" long Travel Trailer. This rig has a GVWR of 8250 lbs and a hitch weight of 755 lbs. Families of up to 10 members can sleep comfortably inside this Travel Trailer! The master bedroom has a cozy Queen bed. Tasty meals are easy to make in this camper's kitchen, with its 6.00 cu. ft. refrigerator and 3 burner range cooktop! The 38 gallon fresh water tank provides enough fresh, drinkable water for the whole family! 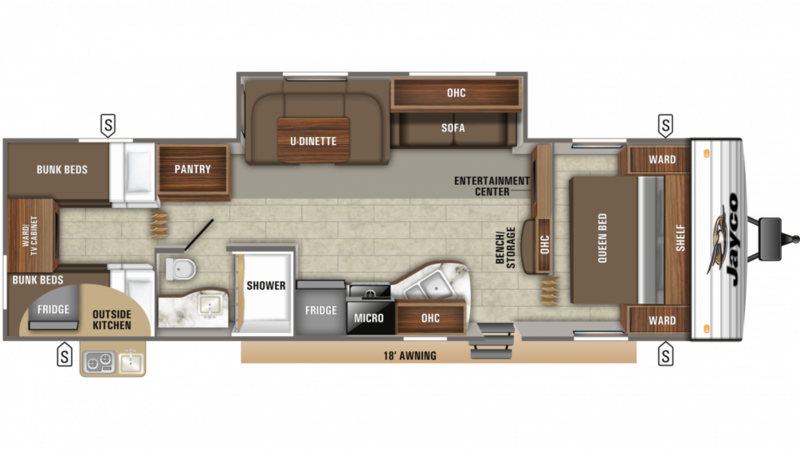 Big family or lots of friends, everyone will get a great night's slumber because this terrific RV features 5 real beds! And that includes the comfy Bunkbeds in the roomy bunkhouse! Kids, especially, will love cozying in at the end of a full day of outdoor excitement and drift off to dreamland reliving all the day's fun! When you want to enjoy the great outdoors, don't go inside to cook your meals. Cook them outside under an evening sky with the handy outdoor kitchen!